Partnerships as an approach to service delivery have gained trust in many quarters and are widely acknowledged as a viable solution to a number of service delivery challenges. In implementation, however, partnerships are complex and often associated with vicissitudes characterised by varying victories and challenges. How do these victories and challenges look like, and what can we learn from them? The purpose of this blog is to assess the Nelson Mandela Bay Metro partnership with SA SDI Alliance as an approach to improving service delivery, highlighting different victories, challenges and what can be learned from them. At first, it was difficult to find a break through and establish a structured way of working together. As a result, the Alliance decided to focus on building its relationship with the municipality through learning exchanges. Senior officials of the Nelson Mandela Bay Metro were invited to join the Alliance on various learning exchanges to places such as Thailand, Stellenbosch and Cape Town. One of the first engagements was with the Department of Human Settlements’ Ministerial Sanitation Task Team (MSTT) in 2011. Communities such as Missionvale, Seaview, Midrand, Kleinskool, and Zweledinga, that had already enumerated their settlements, presented their settlements’ data to the MSTT. They highlighted sanitation and water services as one of the pressing priorities for many settlements. Following these engagements, the SA SDI Alliance demonstrated community led development by constructing a water and sanitation facility in Midrand informal settlement. 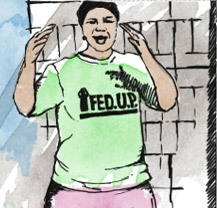 In 2016 FEDUP and ISN profiled settlements in Port Elizabeth, as part of an engagement with Nelson Mandela Bay Metro Municipality, enabling the municipality to receive comprehensive data about the status of informal settlements in Port Elizabeth. 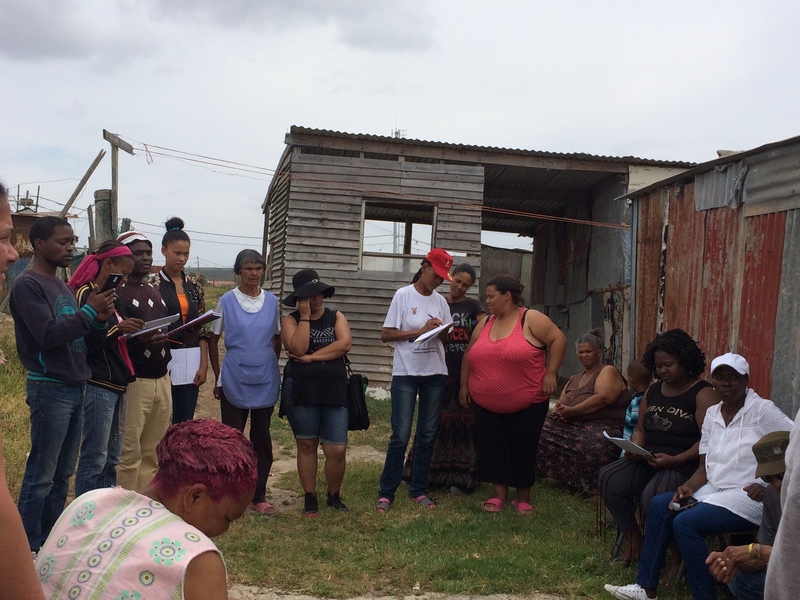 As informal settlement residents conducted the profiling activity, they came across informal settlements that the municipality was unaware of. This demonstrated that data collected by informal settlement residents has the capacity to be more comprehensive and accurate than outsourced approaches to data collection on informal settlements. Consequently, some of the communities profiled used their data to engage government. Together with previous exchanges and engagements, data collection and projects all culminated into a signed Memorandum of Agreement in 2016. 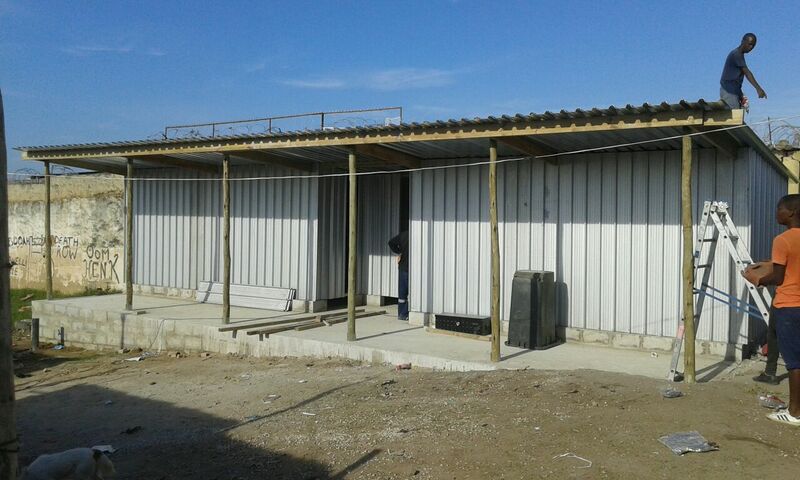 Midrand WaSH Facility in Midrad informal settlement, one of the projects that the were constructed by the community. In 2016, a Memorandum of Agreement (MoA) was signed between the SA SDI Alliance and Nelson Mandela Bay Metro. This agreement offered an opportunity for the municipality and Port Elizabeth’s profiled informal settlements (supported by the SA SDI Alliance), to achieve service delivery objectives. Experience and expertise in data collection, exchanges and community led projects made the Alliance a strategic partner to promote shared values of improving access to services, transparency, community participation, and trust between the municipality and informal settlement communities. As part of the MoA, a number of deliverables in a period of three years were identified. This includes profiling of all informal settlements in the Nelson Mandela Bay Metro, enumeration of 14 informal settlements (at least two in each municipal cluster), plan and/or implement small-scale projects in at least 14 informal settlements. To achieve this work, the SA SDI Alliance committed to contribute three million Rand over a period of three years (one million per annum). Nelson Mandela Bay Metro committed to contribute six million Rand over the same period of three years (two million per annum). Whereas the financial commitments have been clearly determined in the MoA, specificities of how this ought to happen, in terms of delivering services were not clarified. This lack of bindingness leads to uncertainty on how the municipality will use the agreed six million Rand and hampers access to the resources. Accordingly, communities have been struggling to access the funds committed by the metro for incremental upgrading projects. One of the strategies to overcome this challenge has been to present community collected data to municipal officials. This approach aimed to highlight the communities’ priorities and thus, present possible upgrading projects requiring financial commitment from the metro. The presentations are, however, limited to the Department of Human Settlements because of difficulties to access other departments. This has made it hard for informal settlement residents to get other departments to contribute to the fulfilment of the signed Memorandum of Agreement. It is only the Department of Human Settlements that has taken up the task of ensuring that the agreed objectives are achieved, but informal settlements issues identified require collaboration with other departments as well. This climate of fragmentation has unfortunately successfully frustrated the efforts of service provision and it is a clearly missed opportunity to improve living conditions of poor people. 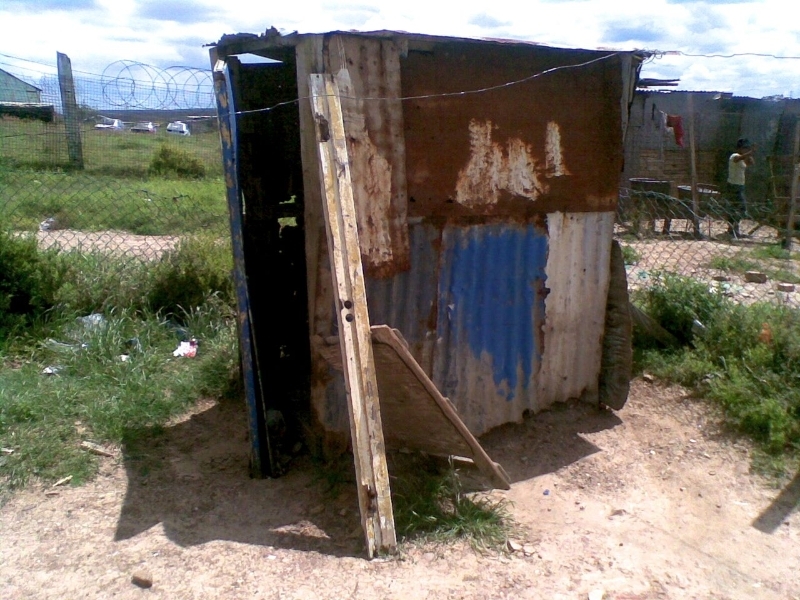 Service delivery in the informal settlements of Nelson Mandela Bay Metro is in a miserable state. Since 2009/10 when the SA SDI Alliance conducted informal settlement profiling in the Metro, 40 settlements were profiled. These communities have identified water and drainage, and sanitation and sewage as one of the major issues and consequently, priorities were set around these issues. In a number of informal settlements, residents do not have any access to water, forcing them to purchase water from groups of people that collect water elsewhere. In a case where households do not have money to purchase water, it becomes very difficult. A further issue is the functionality of existing water taps. Although in some communities, there exists at least one water tap within a 200-meter radius, some of those water taps are not working. In cases where water taps are working, there are interruptions that occur on a regular basis. As a result, people end up not accessing 25 liters of water per day, within a 200-meter radius as prescribed in the Strategic Framework for Water Services 2003. The Strategic Framework for Water Services of 2003, a comprehensive approach in the provision of water services in South Africa, sets out compulsory minimum technical norms and standards for the provision of water. These include that, in the case of communal water points, 25 litres of potable water per person per day must be supplied within 200 metres radius of a household and with a minimum flow of 10 litres per minute. These specific standards are reflected and considered as compulsory minimum norms standards for water by the Nelson Mandela Bay Metro’s Integrated Development Plan (2016/17 – 2020/21). 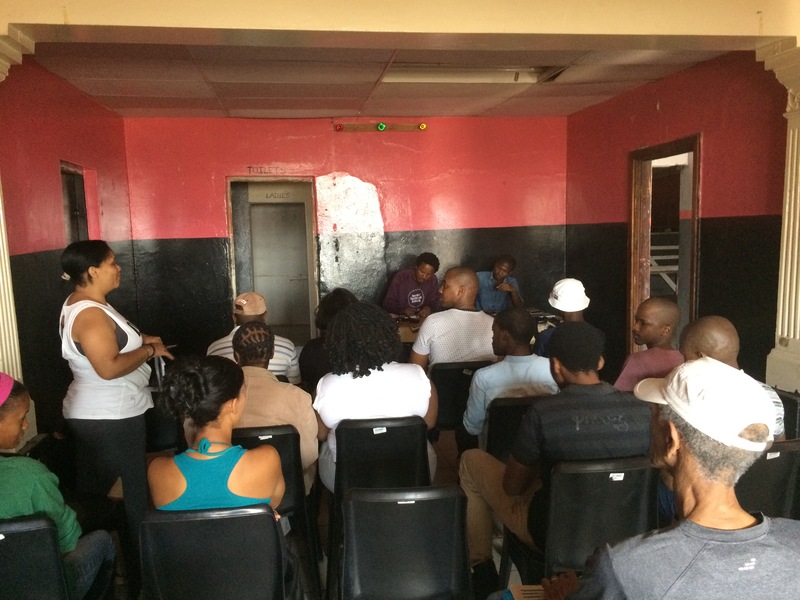 Priorities set by informal settlements residents clearly demonstrate a missed opportunity within the municipality. Due to their specific challenges, informal settlement residents propose a number of solutions to the many challenges of water and service delivery in their communities. These include additional water taps closer to their structures. This means that at least one water tap should be provided for a maximum of five households. Currently people wait in long queues to access water taps because of high population densities in their settlements and in some settlements people do not even have access to water. Informal settlement residents believe that their proposed minimum technical norms and standards will fit well to their context. Across South Africa, municipalities are developing and implementing their water services plans as mandated by the constitution of the Republic of South Africa. Drafters of the constitution had envisaged that from time to time local government, as water services authorities, will have to set minimum technical norms and standards that are locally relevant. In the Nelson Mandela Bay Metro, challenges and priorities identified by informal settlement dwellers clearly demonstrate the need to collectively develop a water services development plan that is well known and accepted by everyone. In the case of sanitation/sewage, in almost all 40 informal settlements there are no toilets. Instead, people use bucket systems and pit latrines as toilets, which cause health hazards to children and pose risks to women as they are not well maintained and are located too far away from certain structures. During the night, it is especially dangerous for women to use the toilets because of risks of being raped. Residents have contributed by building their own pit latrines. These, however, are not connected to the sewer system of the municipality. This creates stagnant grey water around toilets that also poses a health hazard. People are also using open fields and bushes to relieve themselves. The profiling of informal settlements in Nelson Mandela Bay Metro has helped communities to understand and articulate their needs. Communities now understand the importance of organising themselves, they understand that the more organised they are, the stronger their voice, the more isolated they are, the weaker their voices. 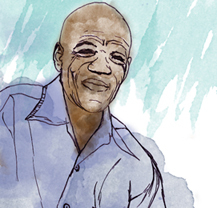 The idea of using profiling as a mobilizing tool in the Nelson Mandela Bay Metro has allowed FEDUP and ISN to engage deeply with more communities about their priority issues. Previously the Alliance was working mostly with settlements around Missionvale, Seaview, Midrand, Kleinskool, and Zweledinga. 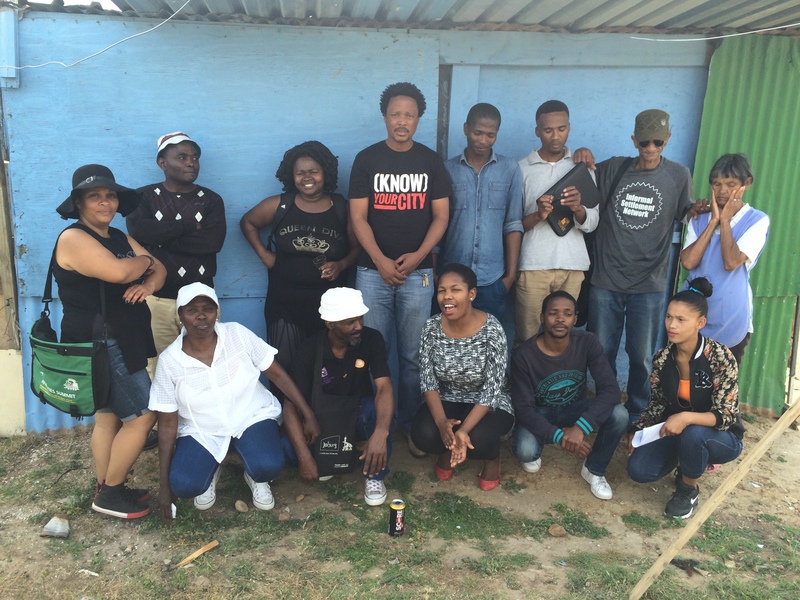 Because of profiling activity in the municipality, the Alliance now has a footprint in all informal settlements. These include areas such as Uitenhage, Walmer, Colchester, Greenbushes, Joe Slovo, Kleinskool, Kwa Zakhele, Veeplaas, Swartkops, Riversdale, New Brighton, and Motherwell. Informal settlement residents coming together to discuss community issues based on profiling that they conducted. In Nelson Mandela Bay Metro, the partnership between the municipality and SA SDI Alliance remain an important approach to improving service delivery. In implementation, the experience of informal settlements dwellers with the municipality demonstrates that partnerships are complex and often associated with varying vicissitudes. One of the main challenges in this partnership is accessing financial resources from the municipality to be used for service delivery in line with priorities identified by communities from their profiling exercise. Going forward, the Nelson Mandela Bay Municipality has committed to rollover finances, which was supposed to be used in the first year of the MoA. On the side of communities, there is a need to find innovative ways of accessing municipal resources and support for incremental upgrading. In this regard, the SA SDI Alliance is currently working with the International Budget Partnership, to learn about different methods that communities can use to access municipal budgets for incremental upgrading. The success of the partnership also depends on other departments in the Nelson Mandela Bay Metro taking up the task of ensuring that agreed objectives are achieved. This will require a coherent approach from the city, which encourages city departments to act together. There is also an opportunity for the municipality to commence a process of collectively developing and implementing water services plans together with informal settlement residents, which will be well known and accepted by everyone. This would clarify and sort the disagreements around which standards to use.